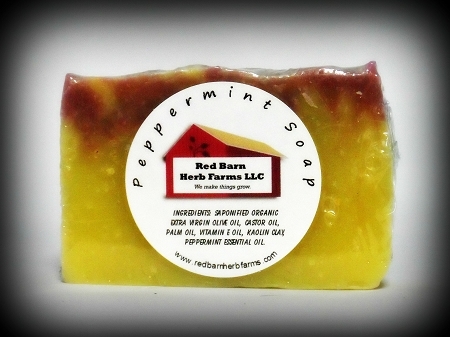 Refreshing, uplifting peppermint in our popular cold process soap base. Another local favorite! Contains: Saponified Organic Olive, Palm Kernel and Castor Oils, Kaolin Clay, Organic Peppermint Essential Oil, Vitamin E Oil.